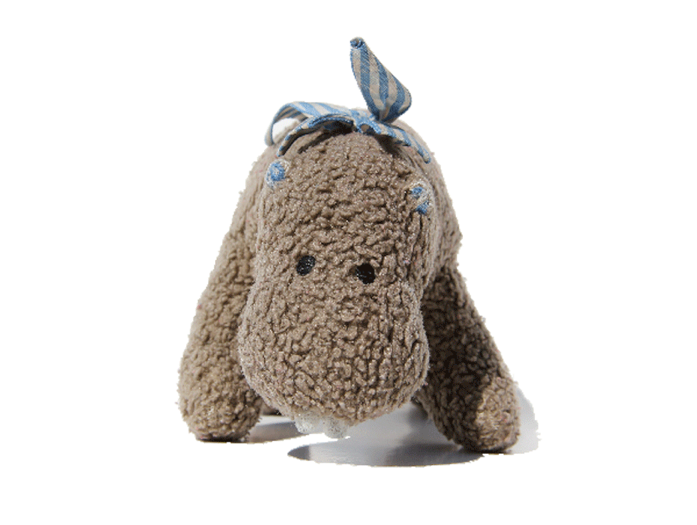 What happens when your son’s favorite object is a goofy, stuffed hippopotamus? He becomes part of the family — that’s what. At just a few weeks old my son found *Hippo* while exploring his crib, and just like that they became inseparable — friends for life. Watching my little one take such joy in Hippo, I thought how we would look back on these fleeting days and marvel at how much the creature was cherished. So one rainy Saturday afternoon I had an idea. I photographed, developed and gallery-mounted an image of Hippo in large scale @ 45” x 60”, then hung the piece in our dining room as a surprise to my wife and son. Since then, it’s become apparent that Hippo has quite a unique effect on people. Friends comment on the tender thoughts the image brings to mind, and also on its modern feel. The simple white background provides a fresh, clean perspective to the subject that seems to evoke positive memories without over-romanticizing them. The process got me thinking about the notion that important objects can be visually preserved in a manner that suspends both time and sentimentality. Your subject can be old or new. The possibilities range from the obvious to the obscure. Our memory log is full of personal objects that trigger positive associations, and placing these objects on display can be a great way to share who we are with friends and family.